Al Forno restaurant offers traditional, authentic and contemporary Italian cuisine in a true rustic Italian atmosphere. They are very passionate about good food and wine being served by staff who have a passion for great service. If your birthday is coming up why not celebrate at Al Forno? Book your Birthday Party with us and EAT FOR FREE!!! Your three course meal will be complimentary, if you book a Birthday Party of 6 - 11 people. If your party consists of 12 or more people, we will not only offer you a free 3-course meal, but also throw in a bottle of house wine at no charge. 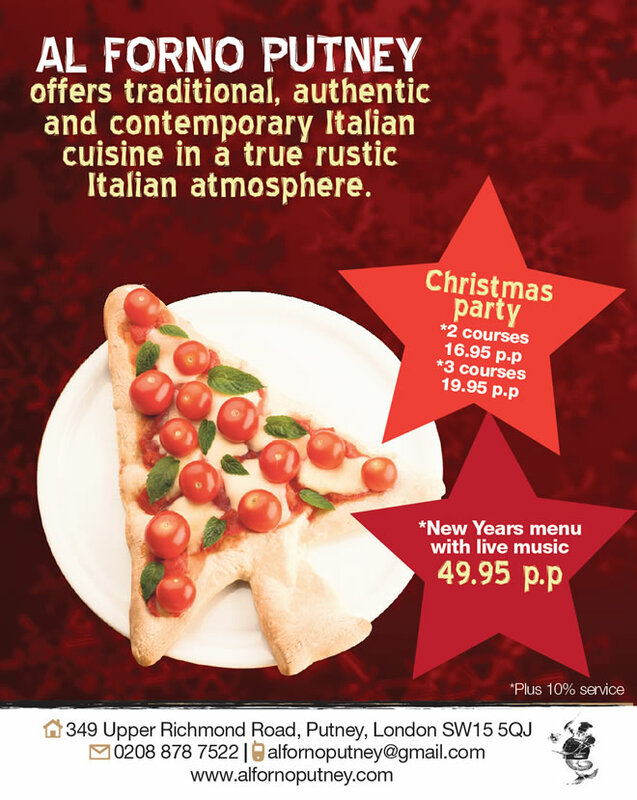 Come and celebrate the festive season with Al Forno in Putney - Peppe and his staff look forward to welcoming you!